One of the principle themes of my 1997 book, Conspiracy: How the Paranoid Style Flourishes, and Where It Comes From is that, contrary to general impression, conspiracy theories are as fervid on the Left as on the Right. Indeed, I devote a chapter of the book, "Right Wing Nuts, Leftist Sophisticates," to explaining this blindness and assessing its implications. 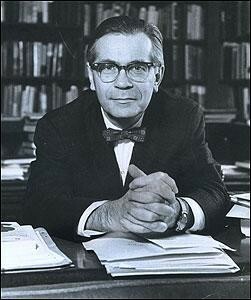 Richard Hofstadter found conspiracy theories only on the Right. Ever since Richard Hofstadter's seminal essay, "The Paranoid Style in American Politics," historians have been confident that paranoia is found only on the Right in American society. In recent years, however, conspiracy theory has spread from its traditional home. Today, in addition to its familiar residence on the Right, paranoia has a home on the Left and at least visitor's quarters in the academy.